We’ve got a set of Polly chairs to give away at Clerkenwell Design Week! 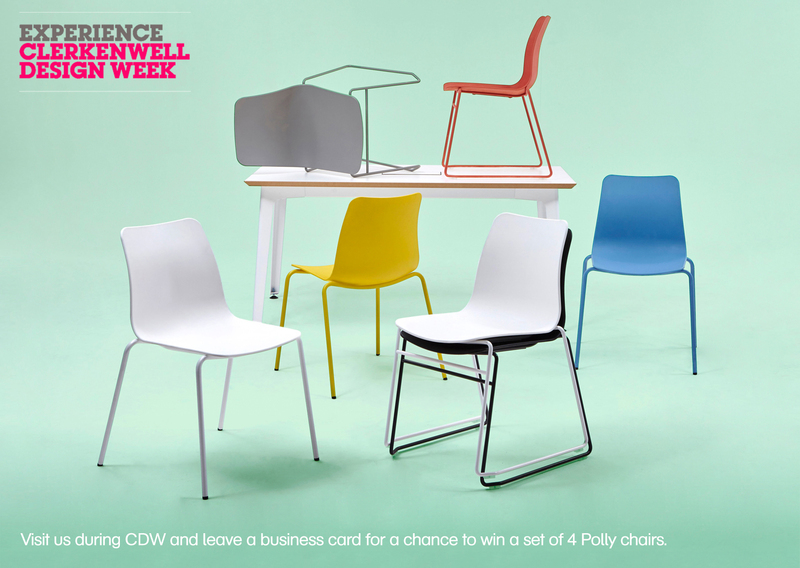 Simply visit us during CDW and leave your business card for a chance to win 4 Polly chairs in a colour of your choice! This is our first year at Clerkenwell Design Week! Doors will be open from 10am-6pm throughout CDW.